Medical jobs in Tulsa are just a few of the areas of careers that you can find when job searching with the Trinity employment specialist. They can provide you with the medical industry jobs, financial positions, and in industrial jobs as well. You will be provided with not only a multitude amount of job openings but you also be provided with the insights it takes to land your dream job. The team of experts and specialists with Trinity appointment has been able to develop a system that has shown true success time and time again to help employers hire top talented employees as well as candidates land their dream position with a career. Whether it be in the medical industry or industrial position, we truly do have what it takes to help you land a job that you will be happy with and passionate about. We have a true passion for giving employers the satisfaction of hiring a candidate who can fill the position and do the job well. We also have a strong passion for giving back to the community and have been able to her with Oklahoma Baptist Church. In our partnership we have been able to feed and provide clothing for children and young adults. We have also been able to provide housing and life skills for these young people. This has been crucial because we truly believe that children are our future and that any help we can write to them to ensure the success of their future, can provide the success of our community. We have been able to create a giveback program for every job placed Trinity will donate to the Oklahoma Baptist children’s home. We want to provide the utmost quality services for those who are searching to hire top talented candidates as well as people who want to find a great job. That is why we have been able to recruit talented employees who perfectly meet the needs of your company as well as connect growing companies with exceptional talent. We have also been able to connect qualified people with great jobs time and time again proving our success in working with you to find the right career that truly does fit you. So whether you are trying to find medical jobs in Tulsa were a career path down the financial position, the Trinity employment specialist are here to help guide you every step of the way in ensuring the success for yourself and for the success of your business and finding the right candidate. We want you to fulfill your goals and career dreams and that is why we want to take the time to get to know you and learn exactly what it is that you want to achieve and what job you want to land. We believe in helping others and connecting people and changing lives. To learn more about the different job of needs head over to https://trinityemployment.com today. You can also learn on our website about the different sample resumes provided to help you learn more about what it takes to outshine your competition and land your dream job. For any questions you may have or more information needed call us today at 918.622.2588. We understand how crucial it is to find a job that you are truly passionate about and one that you can take your career to the next level. That is why the Trinity employment specialist are here to provide you with job openings and provide you with only the jobs we feel best that you based on the information provided to us. 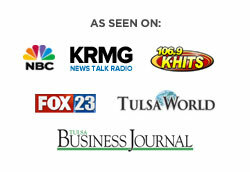 We specialize in helping assist those find medical jobs in Tulsa as well as financial positions and industrial jobs too. We want to help guide you on the path to success. The Trinity employment specialist can also assist in helping you find the right top talented candidate and to help assist you in weeding out employees who are truly passionate about their jobs and wanting to see the successful growth of your business as’s to use who just want to see their next paycheck. We have been able to successfully connect qualified people with great jobs and have been able to strategically recruit talented employees who meet the needs of your company. Today’s the day to help yourself achieve the dreams and career goals that you never even imagined possible for yourself. We truly do believe in connecting people and changing lives for the better and that is why Trinity employment specialist are known to be one of Oklahoma’s highest and most reviewed staffing company is around. Providing you with medical jobs in Tulsa can help you find the career that you have been searching for for so long. We went to ensure the success for yourself as well as the success of your business and that is why we make it such a crucial priority to hire only the most top talented candidates for the position you are searching to fill. We not only have a strong passion in helping those achieve their goals careerwise but we also have a passion for giving back to the community. We have been able to create a program in which every job placed Trinity will donate to the Oklahoma Baptist children’s home. We have been able to partner with Oklahoma Baptist Church working side-by-side to feed and provide clothing to children and young adults. We have also been able to assist in providing housing and life skills for these young people. We truly do believe that children are our future and we want to ensure that they reach their potential and achieve great success. Whether you may be searching for medical jobs in Tulsa or searching for a new financial position in the area Trinity employment is here to help you. Head over to https://trinityemployment.com today to learn more about the job openings within the area as well as the different expertise that we provide. For any additional questions or more information needed about Trinity employment call us today at 918.622.2588. We believe in connecting people, and changing lives to help them reach their potential for success.